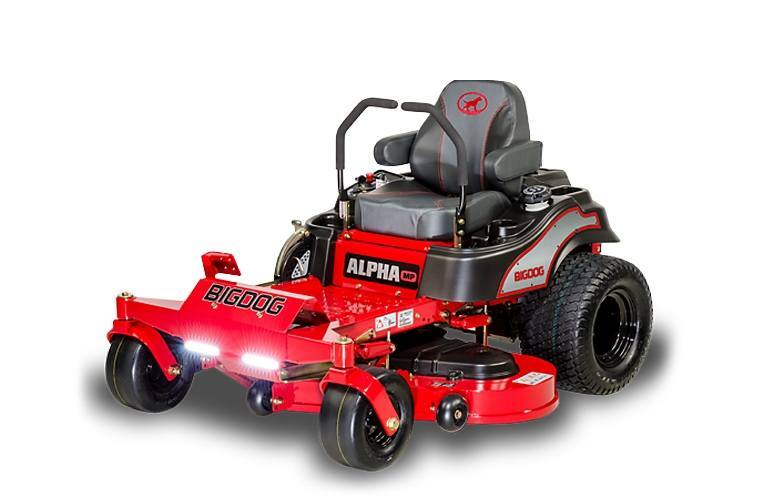 2019 BigDog Mowers Alpha MP 54"
Big Dog Alpha MP 54" This machine is powered by a 23 HP Kawasaki engine, and Hydro-gear ZT2800 transmissions. This mower is great for lawns under 3 acres in size. Who knew a mower could look so good? Get all the power and speed you will ever need with the Alpha MP. The Alpha MP provides maximum style and performance standard with a Kawasaki engine, embroidered seat, LED lights and a rugged engine guard. Mulch Kit for Alpha and Alpha MP: Recycles clippings under our ultra-tough deck, allowing clippings to be cut and recut, then discharged down into the grass.